When was the last time your drains were properly cleaned? Sometimes, the “liquid plumbers” and homemade unclogging solutions just aren’t enough. Most homeowners don’t realize that not cleaning drains can result in blockage, which can lead to serious damage to your pipes and a whole lot of money to fix them. In order to thoroughly clean your drains, you should always call the professionals; routine checks of your drains by our professional, licensed plumbers will help reduce or eliminate problems with your drainage system. 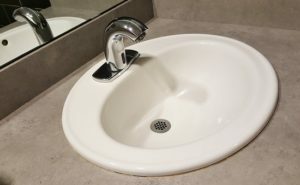 What is a Drain Cleaning Service? DIRTY DRAINS? GIVE THE BOSWORTH COMPANY A CALL! In addition to our drain cleaning services, we also have the capability of detecting damaged or collapsed lines with our drain cameras. This detection can save you money in expensive repairs that are involved in flooding and water damage. Whether you need your drains cleaned or an entire plumbing system upgrade, you can count on us to properly do the job. We’re worth the call. Request our drain cleaning service now by calling (432) 570-5233 or submitting this form. How Does A Hot Office Affect The Performance Of Your Employees?